The windows noob Microsoft Intune (Mobile Device management) guides, now available to download ! 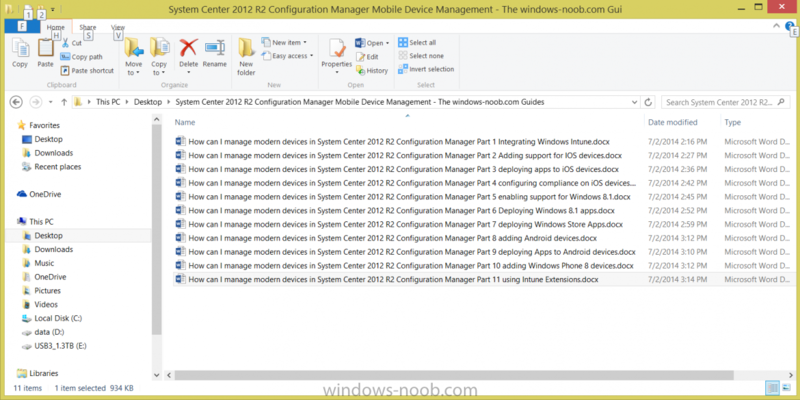 After the huge popularity of the windows-noob.com Configuration Manager 2012 Guides (609,165 views as of July 2nd, 2014), which were subsequently made available for download, (and downloaded 63521 times as of July 2nd, 2014) I've now made the following guides available in Microsoft Word format (zipped). 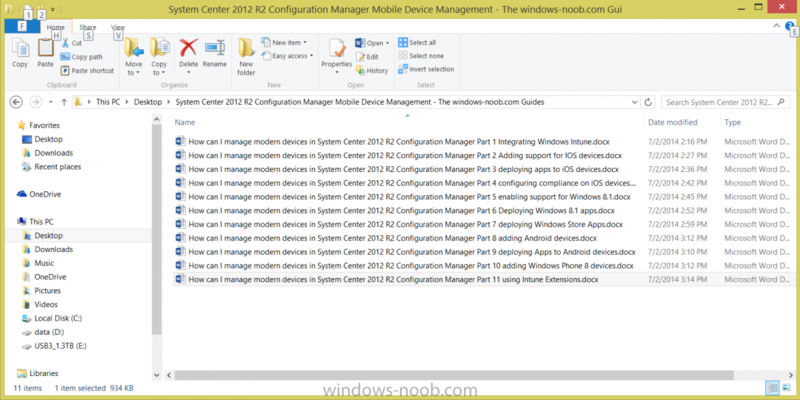 These are the windows-noob Mobile Device Management guides which help you integrate Microsoft Intune with Configuration Manager 2012 R2, and then go on to add support for the following mobile devices"
Please do spread the word ! thanks so much Tim, this is indeed interesting. do you perhaps have a zipped compilation of deploying sccm 2007 as well. nope, but for deploying Configuration Manager 2012 if you are interested. does your SCCM and Server environment has to be connected to Cloud for In-tune to work? ? Mine are curently running on-premise. I have not connected my environment to Azure portal or MS Cloud. can this be setup as Home Lab environment? so for your needs you can do both, there are free trials available just sign up ! Nial is there any guides with the updated Intune settings for co-management? Most of this content is of SCCM 2012. With SCCM CB 1710 co-management has been introduced. Is there any major changes from what are in these guides? Awesome, Thank you!, Keep up the good work, Noobs are depending on you!